Do you know your friends? Really? I thought I did. Maybe it’s because I am pretty much an open book. What you see is what you get and all that. Not that I air every piece of dirty laundry I have, or, upon meeting a new person blurt out every dark and dirty event I have ever been through, but if I have been around you for any amount of time, you’d have a pretty good idea about who I am. What I’m like. So you can imagine my utter astonishment when the husband of one of the couples in my home group (which is a small group of people from my church who meet together once a week to study the Bible and build a deeper connection with than you might find when you go to a church like mine that has over 1500 members) anyhow – we got a call that he was in jail because he battered his wife. His wife being a woman I thought I knew pretty well. Someone I considered my friend. Shoot, I thought I knew him pretty well… he put on a really good front. And I’m pissed. So, why am I so pissed off? Maybe it’s because I feel like I was lied to. I mean, our group has met every week for a couple of years. We have asked each other to pray for issues we’re having, opened up about hard stuff in our lives… well – some of us have. Obviously not everyone. See, we’ve been through a lot with this family. Our kids hang out together. In fact these kids always acted like they were this happy little family when the truth is they have been hurt by and upset and disappointed with their dad pretty much their entire lives… at this point they say they never want to speak with him again, they are so tired of his manipulation and lies and hurt. The husband has had lots of serious health issues, and we prayed and we took them meals and we kept their girls when they had to travel to hospitals out of state and our husbands drove this guy to the doctor visits out of state when the mom needed to be home with her children for special events… and never, ever, did it come up that this man was an abusive addict. We knew he had once had addiction issues… and were led to believe this was the past; dealt with. He was even a leader in our church’s addiction recovery program! Sheesh. Then he went nutso one more time and she’d finally had enough. The attack was witnessed by their kids, by two pastors who came by because one of the girls got really scared and called her youth pastor, and the arresting officers. So even though this man has denied the event (!) we all know what happened. I don’t blame my friend for leaving her husband, even tho they’ve been married over 20 years. I don’t know why she didn’t leave him earlier, except she is this sweet Christian woman who I know was trying to do the best by her kids and I am sure in her dysfunctional way she thought if she hung in there and prayed enough she could rescue this man. I get that. What I don’t get is in all the time we’ve been friends that she never felt like she could have, at the very least, said “hey, we’re having some problems in our marriage – could you pray for us?” I mean, maybe she didn’t want to drag her husband through the mud, or maybe she was embarrassed about – whatever parts of it – but we other gals sure asked for help and prayers about a whole bunch of crap… so it kinda makes me mad, I guess. Hurts my feelings maybe. Like she didn’t feel I was a trustworthy friend. I love this woman, I really do. She’s one of my best friends. I am sorry she is hurting right now. I am also pissed that I was so misled by this man. I mean, he presented himself as this quiet, softspoken, very very wise man of God. He knew all the Scripture, had the right answers… When in fact he’s a crazy addict. And I seriously mean crazy. Some of the stuff he has said and done since the arrest and subsequent no-contact order, separation and divorce has been absolutely bat-poop-insanity. For reals. I am not judging these people. We all mess up. We are all crazy, sin-filled people. I have had probably more than my fair share of stupidity and screw-ups. But, I don’t know. It just makes me mad. Why do we get together as a small group of Christian friends to support one another if we aren’t going to be honest with one another? Why don’t we just play Poker then? Which all just makes me wonder… do I really know any of the people I think I know? 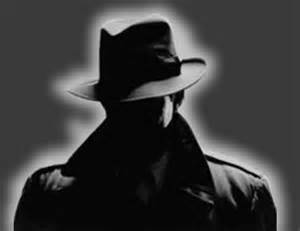 How many of my friends are hiding some dark secret that they think I am not able to be trusted with? Do they think I’m hiding something? Do you? Are you? Do you ever think God isn’t paying attention? 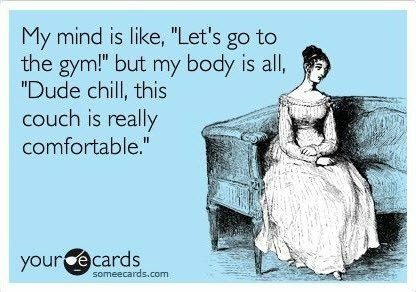 I admit, I feel like this sometimes. Like God is just up there in the clouds, letting the world down here spin out of control while we flounder about in it. Then something happens that makes me adjust my attitude. Something that reminds me that our God cares about even the little details of our lives, and we need to be paying attention to see what He has going on. Something like what happened to me this week. A silly thing, but pretty cool nonetheless. My first thought was “Really? REALLY?! I don’t get a fortune, I get told what to do? !” It was a little… irritating. (I guess I wanted it to tell me my ship was coming in next week or something) My husband and daughter laughed at my indignation. Right on the heels of that thought was the thought of the one friend I knew could really use some flowers. A friend I love, who is going through a really tough time. Just as I was thinking about her, my daughter said “You know who could use some flowers?” and proceeded to mention the same friend. Which got me thinking that maybe there was something to that silly old fortune cookie. The next morning I got online to see what florists delivered in the area where my friend works. I called and ordered what I hoped would be a cute little arrangement. A bit later, I texted my friend, just to see how her day was going, as I hadn’t seen her in awhile and wondered how she was getting on. Turns out, that very day was the one year anniversary of – well, of a traumatic event which set off the chain of events which she is struggling through right now. I had known it had happened “last summer sometime”, but had no idea it was that very same day. Guess who knew? God. That’s right. The creator of the very universe knew it was going to be a hard day for my friend to get through, and He thought someone should let her know they – and He – were thinking of her. Loving her. So He spoke to me through a fortune cookie. Who knew?! When people tell you “God works in mysterious ways” they aren’t just joking. This is how we get Christmas trees in Idaho. We traipse through the woods. After we find the (very im-)perfect tree, we strap it to the top of the car. We have soup, sausages cooked over the fire, hot cocoa, and of course – s’mores! We also have a bunch of fun with friends and family. Thanksgiving ~ Family, Friends, Food, Frivolity…Fractiousness, Franticness,Freaking out…. Well, here it is… the first pie I have ever made. Well, besides ice cream pies; I do those fairly regularly and quite often on request. 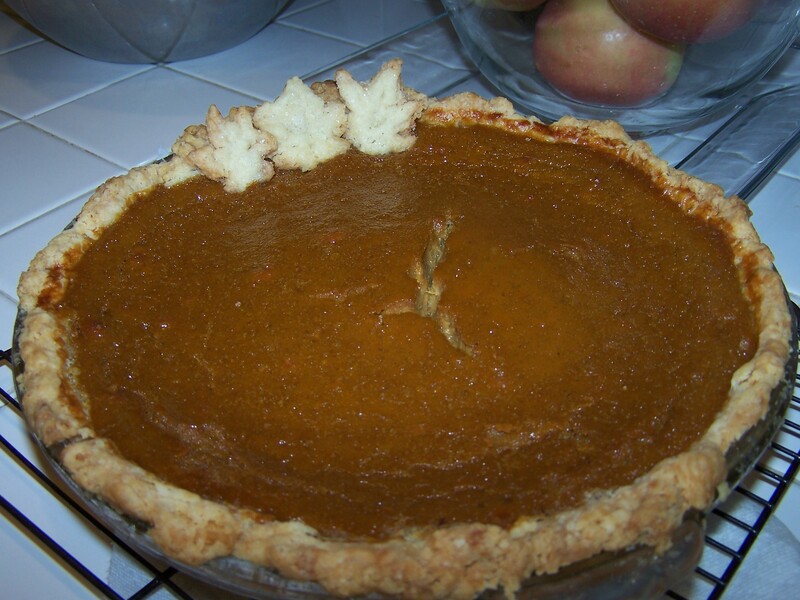 But, this is the first time I ever made a non-graham-or-other-cookie-type-crust with an actual pie-ish filling. Which is weird when you consider all the baking I do… but somehow pie crust seemed like something I’d never be able to do correctly. And on my first attempt, I was right… I did up a ‘test’ crust and it was kind of… well, rubbery. How did that happen? So I tried another recipe, and I think it’s going to be good… I didn’t do a test on again, but I did have a few scraps left over so I baked them separately and they were pretty good. It will be interesting to eat this tomorrow and see how it is! Geez, if it was cookies I could have eaten some already, so I’d know if they are worthy of being shared. 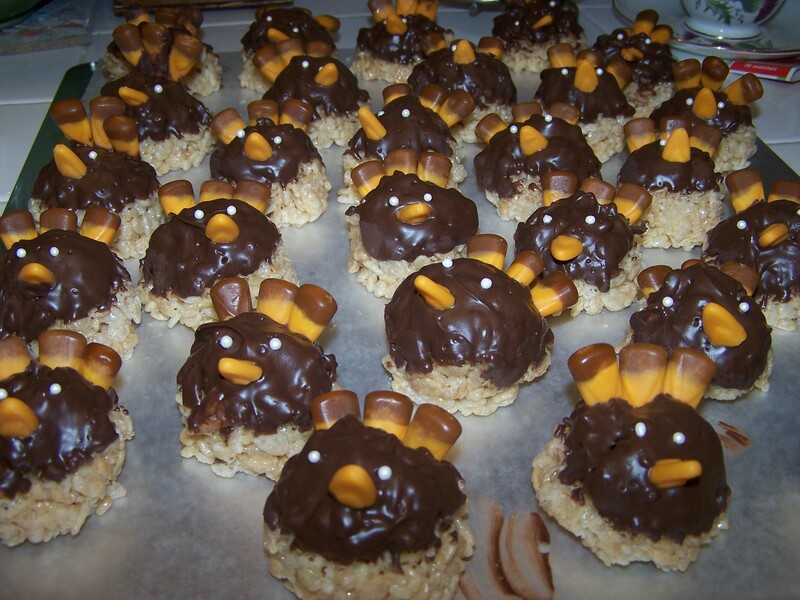 The other item I made for tomorrow’s celebration was silly rice crispy turkeys. Which were way harder than they sounded in the instructions. Alan’s comment was something along the lines of “You do realize there is no longer a houseful of small children running around, right? It’s all teens and adults?” He’s just sore because he wanted me to make a Chocolate Pecan Coconut Tart we’d found a recipe for, and after the whole pie stress I said I’d save that one for Christmas… it just seemed like too much effort. Kind of like why I bought 2 rolls of Pilsbury cresent rolls instead of my originally intended homemade rolls.. because I’ve never made yeast bread before, either, and I guess I only felt up to one new possible disaster! I haven’t been home with my own family for Thanksgiving in several years… we usually travel to see my husband’s side of the family – but this year we simply can’t afford that, and I am actually really looking forward to spending the day with my family here, even though it’s meant more work on my part! We have all the extended family plus we always invite a few friends who don’t have other family or other places to go, so it’s a lot of fun. Well, so I have heard! I am excited to be a part of it this year. So, we had shawarma again… okay, actually, I had falafel, but Kiki and Alan had shawarma. I kind of thought that if we are going to keep eating at this restaurant, I should branch out a little and try some other menu items. It was fantastic. Even tho it had pickled beets in it which are not on my list of “foods I love”… it was still really good. But the best part was that right after we sat down, some friends of ours showed up there as well! One of those unique and unusual families that not only do Alan and I love the parents but they have teen girls Kiki’s age who she loves, so it was a totally fun lunch. The day fell apart after that. We went to the mall, just for kicks, and Kiki tried on pants that were way too small so of course she decided she’s completely fat, then she got her eyebrows … uhm … I forget what you call it … threaded, I think; but anyway they took off too much so of course like I moron I was like “whoa, they nearly made your face bald” so of course she burst into tears – I am just mean like that. I was looking at the most adorable baby girl in church today. Alan turned to me and said “no, you can’t have one.” He’s the mean one! It made me sad in a way, remembering back on the fun times I had with my little girl, who is growing up so fast… and who is a raging ball of teen-girl hormones that is often quite imcompatible with my peri-menopausal hormones. Maybe I should be feeling sorry for my husband who has to live with us both! We got home and had a bit of a tiff, she and I. I hate that. We very rarely have those mom-teenager-battles, and they make my tummy hurt. And make me angry. And worried. I should’ve gone for a walk. I wanted to eat chocolate. (thank goodness we didn’t have any!) I did lay down on my bed for 20 minutes. It’s better now, but I swear having a teenager is probably taking years off my life!